Malaysians will feature in two finals - the men's doubles and the mixed doubles - in the Victor Far East Malaysia Masters in Sibu, Sarawak on Sunday after some inspiring performances in the semi-finals on Saturday. 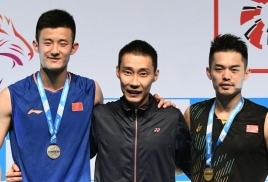 The biggest surprise came in the men's doubles when young Goh Sze Fei-Nur Izzuddin Rumsani gave themselves an even chance of winning their maiden Grand Prix Gold title with a fine show in the semi-finals. 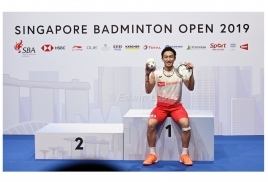 The 20-year-old Malaysians shocked the Indonesian pair of Markis Kido-Hendra Aprida Gunawan ( Image Above) with a surprise straight sets 21-15, 21-13 win only 32 minutes. Sze Fei-Izzuddin, however, have to scale another Indonesian wall in the final and it will not be easy task to beat Berry Angriawan-Hardianto Hardianto who carry a wealth of experience compared to the Malaysians. Angriawan-Hardianto were equally impressive in their 22-20, 21-19 win over the much touted Japanese pair Hiroyuki Endo-Yuta Watanabe in 47 minutes. Malaysia are already assured of the mixed doubles title. It will be an all-Malaysian final between No 2 seeds Tan Kian Meng-Lai Pei Jing and new comers Goh Soon Huat-Shevon Lai Jemie. Soon Huat is former Thomas Cup singles player. Kian Meng-Pei Jing came back from a set down to beat Hong Kong's Tam Chun Hei-Ng Tsz Yau 19-21, 21-13, 21-12 in a match which lasted nearly an hour. Soon Huat-Shevon Lai are fast establishing themselves as a pair to watch in the mixed doubles and they underlined this with a stunning upset over sixth seeds Tontowi Ahmad and his new partner Gloria Emanuelle Widjaja. The new Malaysian pair clinched a morale boosting 21-17, 21-18 win in 41 minutes. Tontowi, is a Rio Olympics gold medallist with Liliyana Natsir in the mixed doubles. India's Saina Nehwal, the former world No 1, who is making a comeback after undergoing knee surgery, showed her class when she smashed her way to a 21-13, 21-10 win over Hong Kong's Yip Pui Yin in 32 minutes. Nehwal will face Thailand's Pornpawee Chochuwong in the final. The 19-year-old Thai upset second seed Cheung Ngan Yi of Hong Kong 21-19, 20-22, 21-18 after a 76 minute battle. South Korean veteran Lee Hyun Il, seeded No 5. will clash with top seed Angus Ng Ka Long in the men's singles final. In the semi-finals they brushed aside their Indonesian opponents. 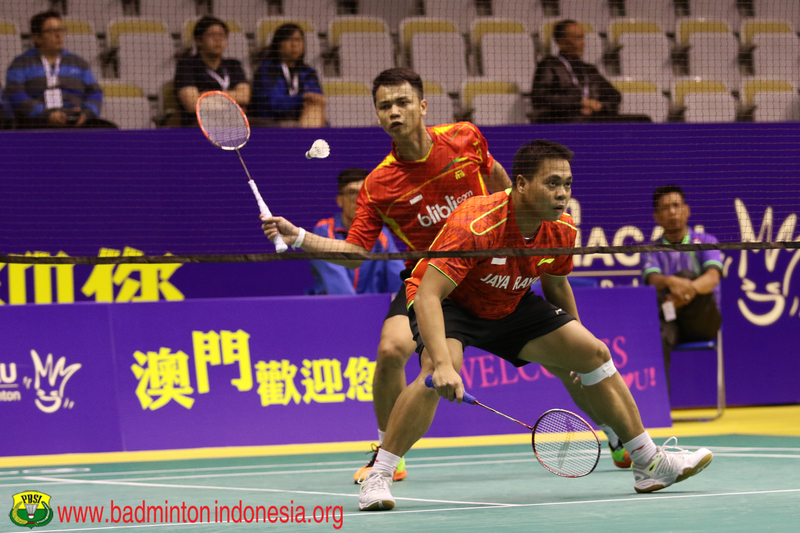 Ka Long beat Anthony Ginting 21-18, 21-15 while Hyun-Il packed off Tommy Sugiarto 21-17, 21-16.